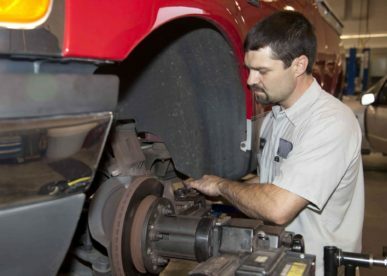 Opened in 1983, Las Vegas Wheel Alignment & Brake Service is one of a handful or reputable independent complete automotive repair & maintenance centers in greater Las Vegas. We take a great deal of pride in our work and in our customers. While the services we provide are exceptional, it is our honest work and a lifelong love for cars that keeps us going. We don’t treat customers as one-off folks that we’ll never see again. We look at our business differently than a lot of automotive shops. Our goal is to build a lasting relationship with all customers. We will be happy to provide you with a FREE 30 Point Maintenance Inspection & Free Estimate. Call Us at (702) 384-3422 to Schedule an appointment or come by the shop. Click here to learn about our Specials & Discounts. Essentially, we want to make sure customers are happy with our work and safe on the road. And by all accounts, it looks like we are doing a really good job. Customers continually tell us they heard about us from a friend and that we come highly recommended. 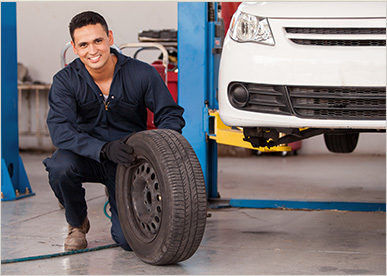 We want to earn that privellege every time we are asked to work on a customer’s vehicle.